This year as I helped stoke the entrepreneurial spirits within my children, I couldn’t help but think about how these basic foundational tenants of marketing and sales also apply to inbound marketing. As I helped the kids get set up, set goals, align tactics and source inventory (make lemonade!) 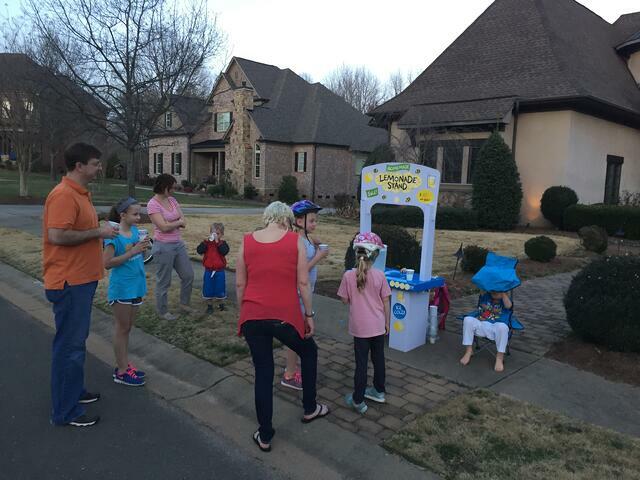 ready to sell, I committed to not only enjoy the experience and bonding with my kids but also to observe the marketplace we created in my front yard. I always liked the quote “If you wait for perfect conditions, you will never get anything done.” Too many times we think that if we wait for an ideal circumstance (budget, resources and time) our results will be better. But in fact, there really is no better time to start than now. As my kids begged me to help set up the lemonade stand at almost 6pm on a weeknight, my first instinct was that this was not an ideal time. But to them it was a perfect time, dusk hadn’t quite set in yet, it was warmer out than usual and most importantly they saw people out walking around the neighborhood, enjoying the evening. They saw an opportunity when I doubted it. The same applies for your business. You have to start somewhere to eventually get results, even if not right away. So maybe your website isn’t fully complete or you don’t how to blog or post effectively on social media. That’s not as important as knowing you are missing out on opportunities to generate leads for your company. As in my neighborhood, the leads are out there! Put out your “lemonade stand” and get started attracting them now! What does success look like for you? My kids decided together (this was a collaborative team goal!) that they wanted to save for a new scooter that cost $34 with sales tax included. 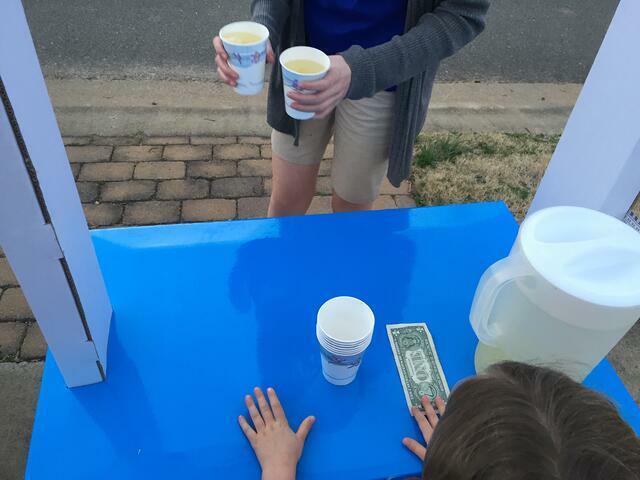 So we calculated how many 50-cent cups of lemonade we had to sell. Sixty-eight cups of lemonade had to be sold to bring us to our goal. Also, we had to set expectations around our goal. How long are we willing to work tonight and in the future to make progress towards our goal? Was it possible to sell that many cups that night to reach our goal? Sure it was possible. But is it realistic? Not likely. So my kids understood this going in. Our goal was to sell a few cups (maybe three or four dollars worth) that night but learn about the process and experience so next time we would be better prepared. What are your revenue goals with your inbound marketing and sales efforts? Once you define a possible but realistic revenue goal, how many sales do you need to make in order to reach it? To reach sales goals, how many quotes, proposals or prospective clients are needed? How many leads do you need to generate to pitch these quality leads? How much traffic to your website or blog is needed to generate leads and so on? All of these goals need to be mapped out and agreed on so you can work towards them. Of course, we had the enticing messaging on the lemonade stand, “Homemade”, “Ice Cold,” and “Fresh Squeezed” but how does this differentiate our stand from the others? After all, every legitimate lemonade stand says the same thing, right? We took it one step further and told everyone who came by the story of how it was homemade and with what ingredients. We even shared it was a “family” recipe, it was one of a kind, it was unique and that they (the customers) were in for a treat. Not everyone who comes by is ready or able to buy. But they might be interested enough to try before they buy. What do you have available for them? In our case, we had small “trial” cups available to give just a “taste.” The only condition to the “trial” offer was to tell friends and family about our lemonade stand. This was huge! This brought more brothers, sisters and parents of the trial customers back to the stand to actually buy. They also were educated too (knowing how much it cost, what made it unique and who was offering it) making the sale that much easier. Most of our sales came from offering trials. You don’t need to give your product or service away for free to generate leads and customers. But what you do need is information freely available to all who seek it and are considering working with, hiring or buying from you. Have downloadable content (eBooks, brochures, “whitepapers”, videos and related media) readily available on your website so potential clients who read your website pages and blogs can easily download it if they supply you with their email address. They get the content and learn more about your product/service. What do you get in return? A lead! 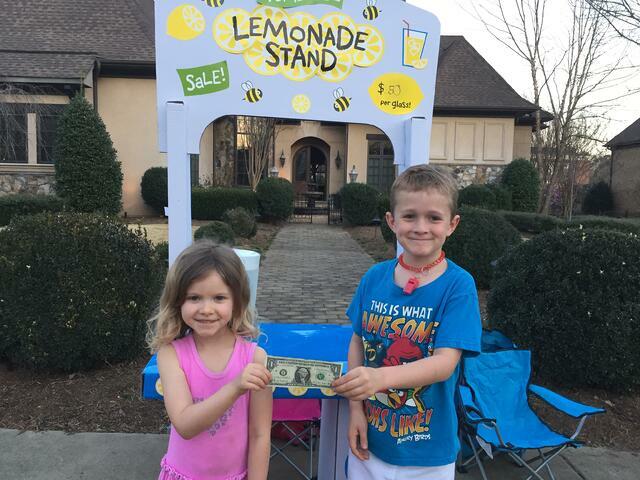 We realized that our customers who purchased lemonade stuck around and ended up buying more. We realized we needed to delight these customers and decided to entertain them! My son showed off his karate skills and my daughter sang songs by request. This created an entertained crowd and drew attention that added to our growing crowd. Are your happy clients “evangelists” of your brand? Are you surveying them and offering content just for them? What about collecting reviews and testimonials? You have to make it easy for happy clients to refer you more happy clients by implementing these referral-marketing practices. 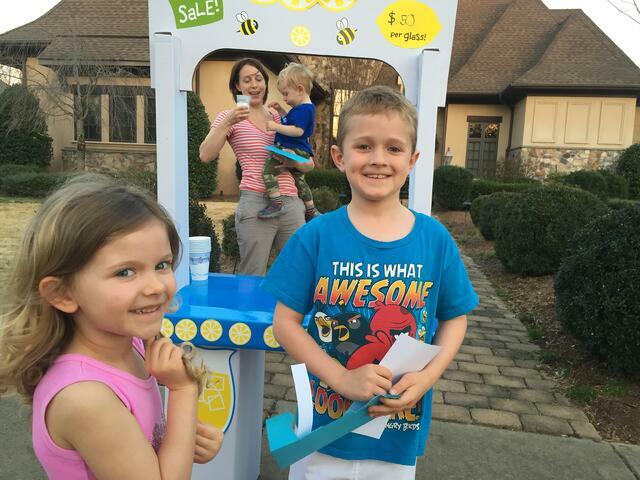 My children were so excited when they made their first sale, it practically made the night! But little did we know that was just the beginning! Within 15 minutes of being open for business, they earned $14! A car drove by with kids in the car and they stopped for lemonade. They had no cash but wrote a check for $5! My kids were elated and so excited about what they created. We surpassed our forecasted goal for the night and we were almost halfway to our overall goal of $34. So needless to say we had an incredible start on their goal of buying the scooter. But what could we have done better to prepare for the next go around? We didn’t make enough lemonade and had to make more. We also ran out of cups and had to run into the house to get more delaying our customers. Also, we needed a cash box with change for those who paid with dollars etc. All easy fixes to make the process easier and the sales flow better next time. Learn from your mistakes and build on your successes. Wrote a popular blog post? Replicate it and/or repurpose it into a new piece of content. Had a lot of social shares from a past social media post? What made it great, the picture, the post itself or both? Is an offer converting leads well? Why? Is a sure-fire offer not converting leads very well? Why not? Use inbound marketing software like HubSpot and get to the bottom of your results to make better decisions in the future to aid more of your successes! Do you have a really great marketing story or analogy to share? Please leave your comments below! 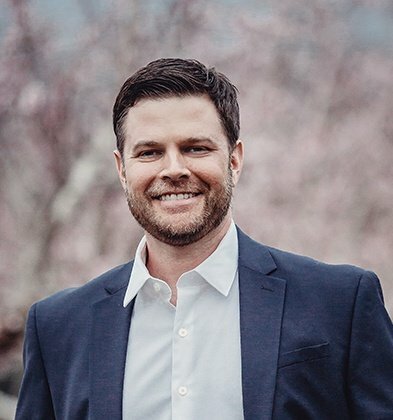 To read more about what we're up to at Laire Group Marketing, be sure to subscribe to our blog by clicking the button below. We promise you won't be disappointed!